The professional yet free-spirited couple who own this mountaintop home wanted to replicate the feeling of an outdoor shower they experienced in a favorite resort during one of their many Caribbean trips together. Built in 1962 at the top of Mt. Helix, the home features stunning natural views and unusual architecture. The eclectic interior is decorated with works of art the homeowners have collected and a series of sculptural works created by the husband. 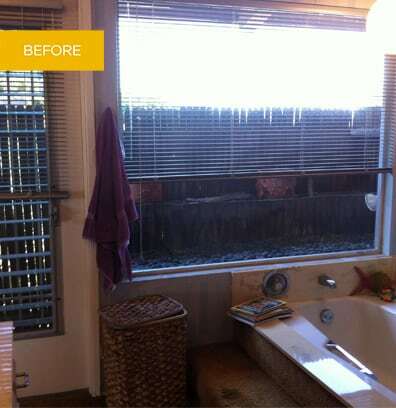 Their new master bathroom had to reflect the couple’s individualistic lifestyle while incorporating the concept of both an indoor and outdoor shower. 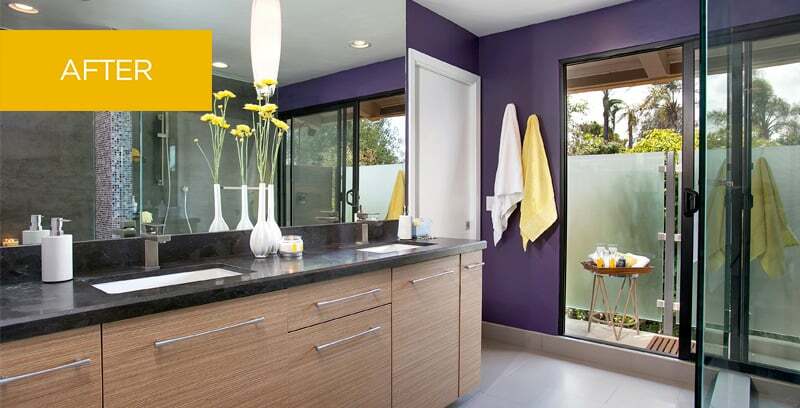 This memorable master bath evokes the experience of a Caribbean destination resort with a contemporary aesthetic. Connected indoor and outdoor showers and the design’s emphasis on openness appeal to the imagination. Colors and materials throughout the room express an artistic spirit, while careful space planning and storage options provide a high level of modern functionality. Whether luxuriating in the sumptuous indoor shower or in the open air of the outdoor shower, this inviting space creates an unforgettable adventure for all the senses.